MASAKA – Police in Greater Masaka Region has come out and issued a statement refuting the allegations of barring bars and public places in the region from playing Bobi Wine songs. There have been allegations that police in Kyotera had ordered bars, clubs and discotheques to stop playing the two songs of Bobi Wine, Tuliyambala Engule and Kyarenga. The allegations also indicated that police started operation in areas such as Mutukula, Kasensero and Kalisizo arresting DJs who they could find playing these songs which are claimed to incite violence in people whenever they are played. Now, police have in the statement denied the allegations and confirmed they have not arrested anyone in the region for playing two songs. 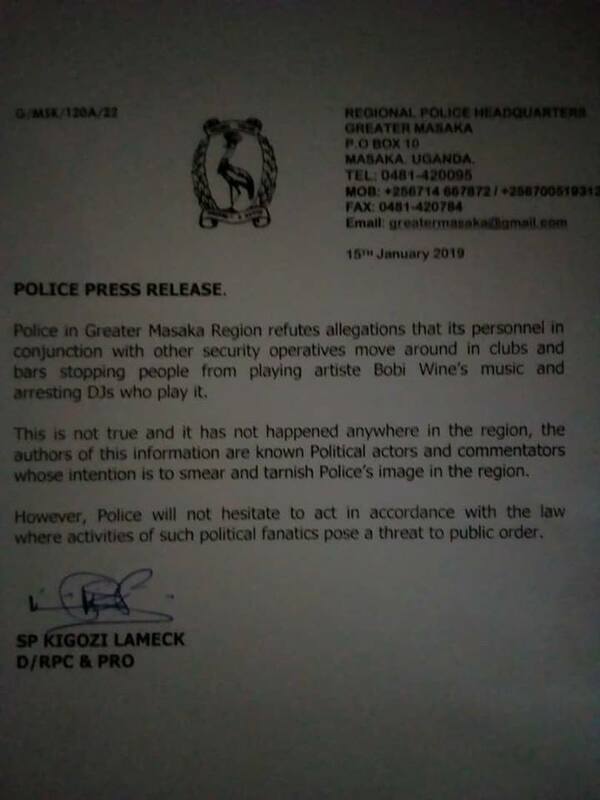 “Police in greater Masaka region refutes allegations that its personnel in conjunction with their other security operatives move around in clubs and bars stopping people from playing artiste Bobi Wine’s music and arresting DJs who play it,” reads the statement signed by SP. 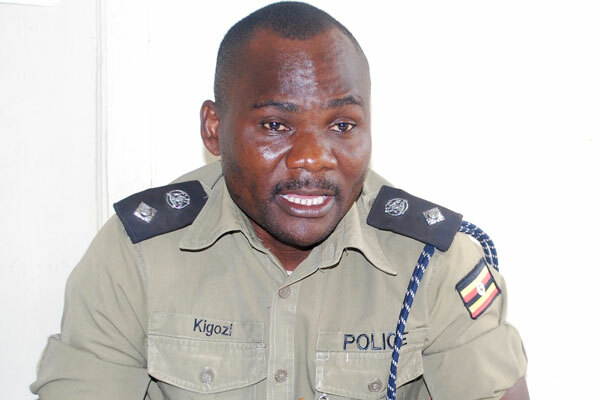 Kigozi Lameck, Police PRO Greater Masaka part. Police press release regarding allegations of barring Bobi Wine songs in Greater Masaka. The statement adds that the police will not hesitate to act in accordance with the law where activities of such fanatics pose a threat to public order. Kyotera District Police Commander, Afande Grace Mutono also said that Uganda police is to work tooth and nail to whip out all criminal elements that won’t be able to follow their guidelines.